Promote the advancement of science, technology and applications in communications and related disciplines. It fosters presentation and exchange of information among its members and the technical community throughout the world. Maintain the highest standard of professionalism and technical competency. Present the latest technical developments in radio and television broadcast transmission. 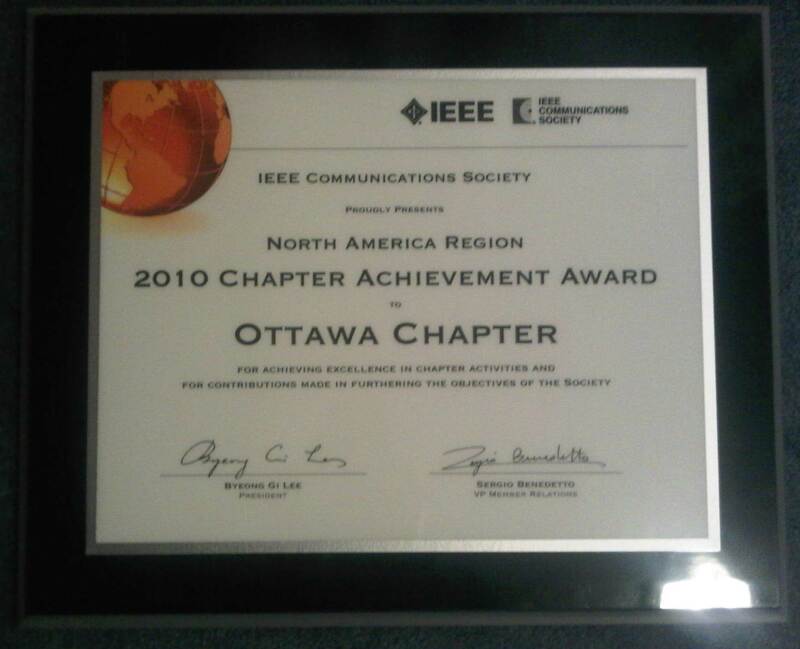 EWW On Monday, Decemebr 5, 2016, IEEE Communications Society has announced that IEEE Ottawa ComSoc/CESoc/BTS Joint Chapter is the final winner of the 2016 Communications Society Chapter A chievement Award (20116CAA))in North America Region (R1-R7). The Chapter of the Year 20116winner will be selected from the 4 winners from North America Region 1-7, Europe, Middle-East, & Africa Region 8, Latin America Region 9, and Asia/Pacific Region 10.. Please click on the image to view the 2016 CAA award . On May 29, 2013 at the IM 2013 Conference in Ghent, Belgium, the EEE Ottawa Section and the IEEE Ottawa ComSoc / CESoc / BTSJoint Chapterr wonnthe IM conference competition to organize and host thee 2015 IFIP/IEEE International Symposium on Integrated Network Management (IM 2015))iin Ottawa, Ontario, Canada at the Ottawa Convention Centre onn May 11 - May 15, 20155. 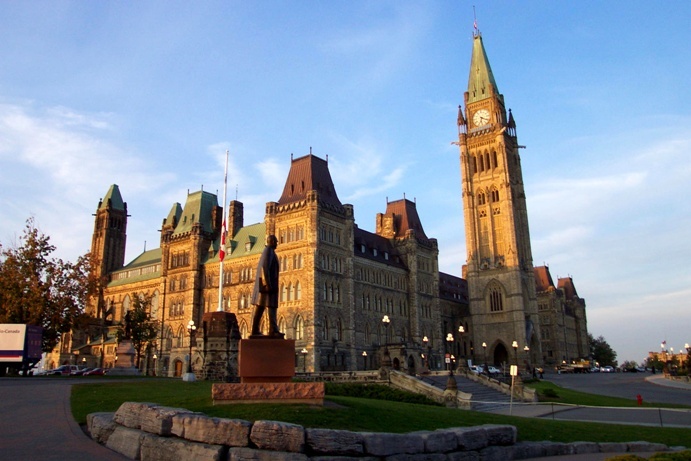 The IM 2015-Ottawa is expected to attract and bring together the world's industry leaders, scientists, academics, engineering professionals, policy makers, and government officials to the presentations of keynotes, panels, technical papers, workshops, tutorials, and mini-conferences. For participants it promises to stimulate the scientific exchange of ideas, the identification of future trends in communications, and the illumination of business opportunities.. The IM series of conferences has been held in odd-numbered years since 1989 (taking turns with its sibling conference NOMS)and has establish itself has the main venue for Broad scope covering all advanced aspects of integrated management of networks, services, and data centers, including operational experiences, management technologies, management algorithms, IT practices, cloud optimization and automation, cloud networks management, operations and control of networks, networking services, networked applications, and distributed systems..
• On Wed, September 1, 2010, IEEE Communications Society has announced that IEEE Ottawa ComSoc/BTS/CESoc Joint Chapter is the winner of the 2010 Communications Society Chapter Achievement Award (2010 CAA) in North America Region (R1-R7). The Chapter of the Year 2010 winner will be selected from the 4 winners from North America Region 1-7, Europe, Middle-East, & Africa Region 8, Latin America Region 9, and Asia/Pacific Region 10. Please click on the image to view the 2010 CAA award . 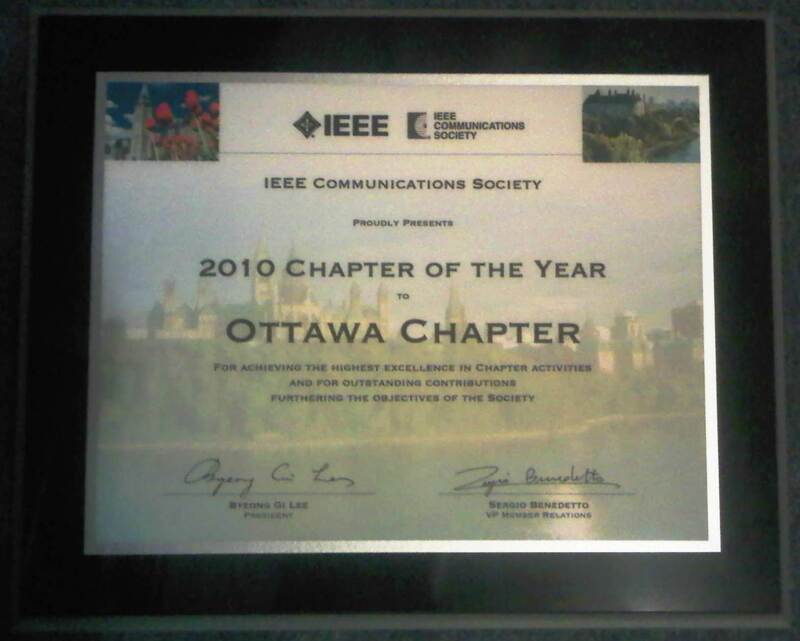 • On Wed, October 13, 2010, IEEE Communications Society has announced that IEEE Ottawa ComSoc/CESoc/BTS Joint Chapter is the final winner of the Communications Society’s 2010 CHAPTER-OF-THE-YEAR (2010 CoY). This is no small achievement and we applaud the accomplishments that led to their being chosen from among all our ComSoc chapters worldwide. Ottawa ComSoc Chapter will be honored in two ways at GLOBECOM (December 6-10, 2010) in Miami, FL: the Chapter will receive the 2010 CoY plaque, and 2010 CAA plaque. 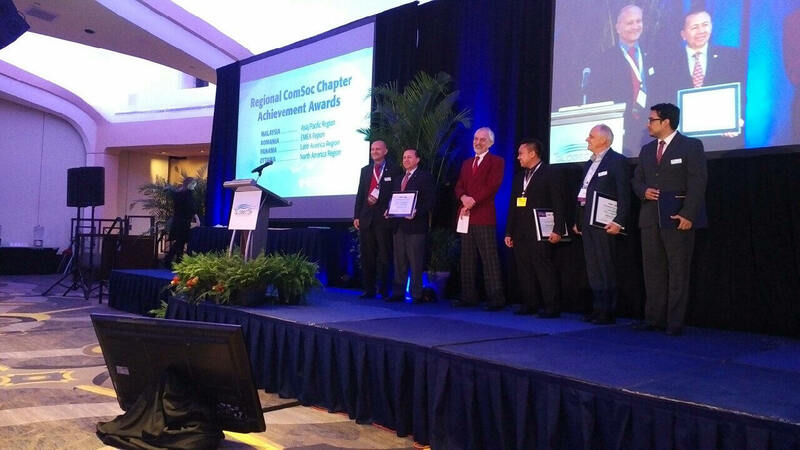 The ComSoc Society invited the Chapter Chair to attend the Awards Ceremony at IEEE GLOBECOM (December 7, 2010) in Miami, and receive these two Awards. Please click on the image to view the 2010 CoY award . ore details: Please visit Chapter's Upcoming Events.